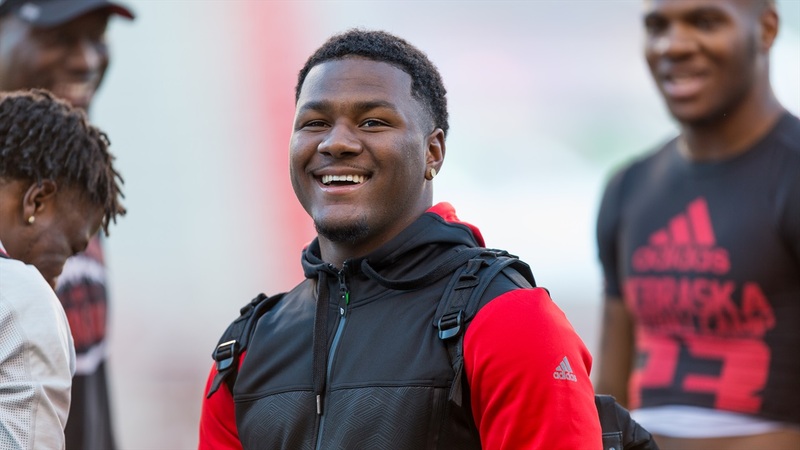 The last few days have not been kind to Nebraska’s roster with the news of 3-star defensive tackle Deiontae Watts and 4-star cornerback Elijah Blades not qualifying academically. Both players were important cogs in the 2017 recruiting class on a defense that is going through a transition to the 3-4 under new defensive coordinator Bob Diaco. The impact of both players not making it to Nebraska will be felt both on the field and will alter Nebraska’s recruiting plans and priorities going forward. Losing Watts (6-3, 300) out of Plano, Texas, was a big blow literally and figuratively. It helps that the team signed Damion Daniels (6-2, 310) to also play the nose guard position in the new 3-4, but in year one of the change you would like to have as many bodies as possible to rotate in that spot. The 2018 recruiting class currently includes York, Nebraska, prospect Masry Mapieu (6-4, 300) who will have the ability to play the nose guard spot. Currently there are not many if any other defensive tackle prospects the Huskers are really locked in on right now. Not having rangy 4-star cornerback Elijah Blades (6-3, 170) on the Huskers in 2017 has multiple ripple effects. When combined with the news of star cornerback Chris Jones being sidelined four—to-six months, it is a devastating blow. Blades would have likely seen the field as a true freshman since he was the highest-rated defender in the 2017 class, and has size that you can’t teach. The Huskers do have young heralded corners in the program that will have to be counted on to step up. For the 2018 recruiting class, Nebraska will have to add to an already impressive list of defensive back prospects. The good news is that the class currently includes 4-star Brendan Radley-Hiles, 4-star Chase Williams and 4-star Mario Goodrich. Nebraska is also in very good position with 4-star cornerbacks Christian Tutt and Houston Griffith, who both attended the Huskers’ Friday Night Lights camp on June 23. Now there is a bit of a bright side to the news of losing both of these players. The amount of scholarships available for this 2018 class, which has been off to a good start, has been talked about quite a bit. It will be a small class of 15-to-18 players, and now the team has 2 additional scholarships to offer. This is a huge deal should a player you do not want to turn away gains additional interest in the team like running back TJ Pledger, currently an Oklahoma commit, or 5-star defensive end/outside linebacker Micah Parsons.